Designing a small space that would be both functional and liveable, can be tough. There is no easy way around it. One can browse through magazines and the net for design ideas for small condos, and you will still find yourself lost. The objective is to look into the entirety of the home, find areas one can improve on, and areas where one can add creative solutions to space problems when designing a small space. 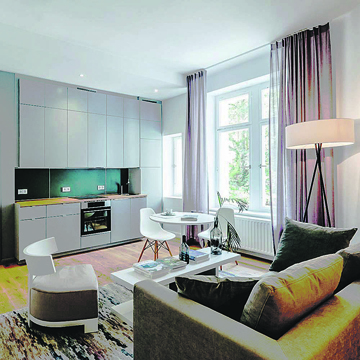 Here are some smart design ideas for small spaces like apartments and condominiums. To make a small apartment ’s space appear larger than it is, avoid using dark hues in the choice of wall colors. One can use a focal wall for a use of color but remember to keep the rest of the space light and open with crisp, white furniture and white built-in units. This will allow the eyes to float around the room, and make it seem bigger than it is. 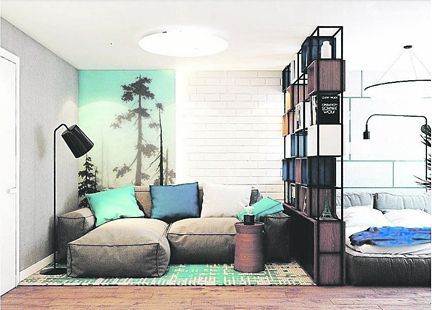 One of the best (and easiest) design ideas for a small condo. Add a full-body mirror to visually expand the room. A mirror not only adds dimension to space but allows light to be reflected around the room, and lighting it up. It makes the small bedroom appear larger. One can use mirrors mounted on a wall to open up the room, or add it in a corner of the room, and make the space bigger. Choose versatile furniture that do double duty: a convertible sofa with extra storage, a dining table that doubles as a desk, a coffee table with extra storage space, or a wall unit that conceals a bed. The possibilities are endless. Any space can be enhanced with additional storage solutions. Look for dead spaces in the apartment, and use these by adding a shelving unit. 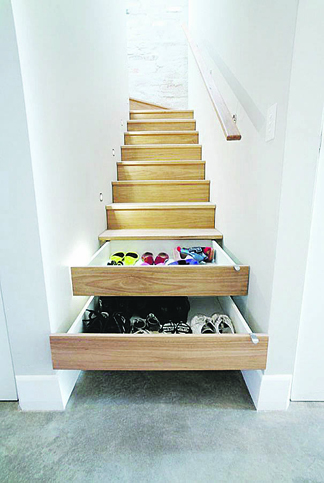 Try adding shelves below the stairs, or the angled order, to take advantage of the awkward, extra space. One can turn it into an area to showcase a travel collection, or use it to have stylish storage for children’s toys. Small canvas bins are great for keeping toys stored away, and out of sight. Make a small living room appear more spacious by adding a floor-to-ceiling window treatment. A living room with high extra-high ceiling, but with a small floor plan, can become bigger than it seems. This simple addition will help draw eyes up the wall for a much larger feel of the space. Don’t let any extra space go unused when dealing with a small room. Turn a nook between two small closets into a simple and efficient workstation, or study area for the kids. Adding shelves above the desk provides extra space to store books. With the desk built into the wall, it will take up little space in the room. Take a advantage of a narrow wall by adding shelves into it. This is an excellent way to store bathroom essentials. Invest in attractive canisters to hold cotton swabs, cotton balls, and other bathroom essentials, and place unsightly toiletries under the vanity to add style and cleanliness in your bathroom. Small wicker baskets are good storage, and can also be placed on the shelves to hide products you don’t want to be out in the open. While there is limited research on the perceived spatial dimensions of furniture and its effect, studies do show that the more furniture one puts into a space, the smaller it appears. And most of us know the less “stuff” we have in our apartments the bigger they seem. Fitted living room furniture with built-in side tables that hug the wall is better than having large single units and isolated tables. TVs and sound systems incorporated into storage are more space-efficient than stand-alone units. Big furniture, like settees and coffee tables, ornate bedheads and oversized loose chairs, also overcrowds space. It’s not comfortable to have to walk around large pieces of furniture rather than through space. The best types of furniture to use in small spaces are simple open-framed chairs and tables, furniture with light frames, steel or timber, and open backs. 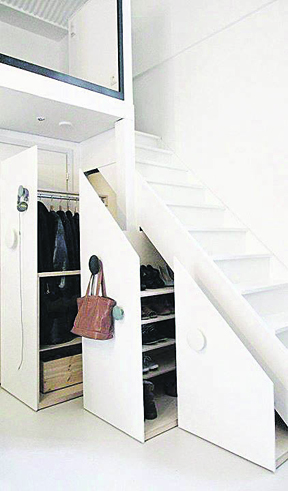 A multipurpose space is unavoidable in a small home. One can use a guest room as an office and create a workstation that can be used when there are no guests staying over. One can also make use of empty walls to add additional storage to store kitchen, or work-related items. There are a lot of smart design ideas for a small condo. One simply has to be creative while keeping in mind the ultimate objective of creating and making space, instead of taking it up.